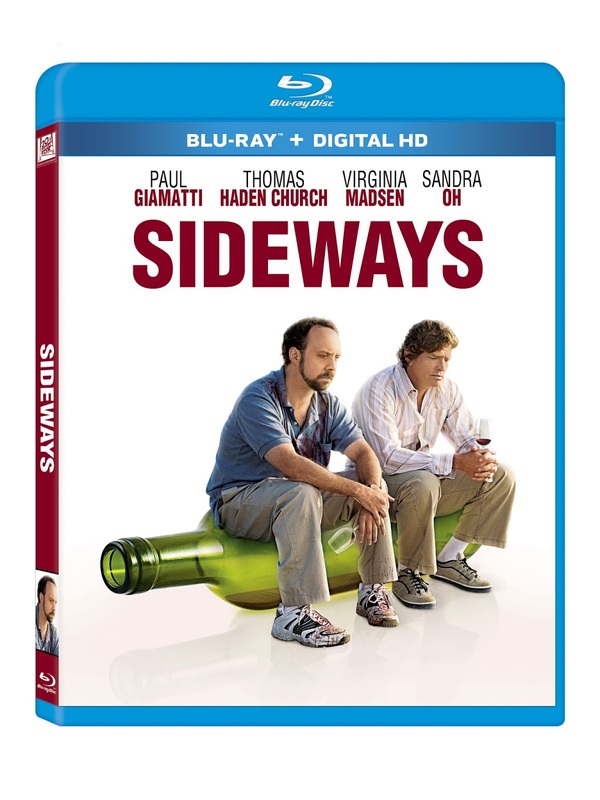 Twentieth Century Fox recently released news that they will be releasing the 10th anniversary edition of "Sideway" on Blu-Ray. The film was a big hit at the box office back in 2004 and won the academy award for Best Adapted Screenplay. Special features on blu-ray include Full-Length Audio Commentary by Paul Giamatti and Thomas Haden Church, 7 Deleted Scenes and Behind-the-Scenes Featurette. "Sideways: 10th Anniversary Edition hits stores on October 7th. Directed by Alexander Payne, this breathlessly funny comedy stars Paul Giamatti and Thomas Haden Church as Miles and Jack, old college buddies who take a wine-tasting road trip through California’s famed central coast to celebrate Jack’s upcoming nuptials. But Miles’ desire to savor the regions’ wines suddenly takes a back seat to Jack’s desire to sample its women! Co-starring Sandra Oh and Virginia Madsen, Sideways “has it all: inspired direction…bracing wit and emotional gravity” (Rolling Stone)!